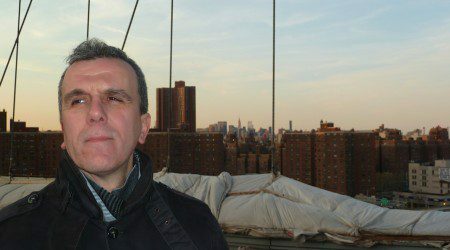 ROBERT PERIŠIĆ was born in 1969 in Split. He is a freelance writer and a journalist whose writings give an authentic view of society in transformation and the (anti)heroes who inhabit it. He is the author of a novel, two collections of short stories, two poetry collection, a play and a screenplay. His novel, Our Man in Iraq (Istros Books, London, 2012; Black Balloon Publishing, New York, 2013) received one of the most important Croatian literary awards from the daily newspaper Jutarnji list. The German edition of the novel (‘Unser Mann vor Ort’) also received the ‘Literaturpreis der Steiermärkischen Sparkasse 2011’ in Graz, Austria. His journalistic articles regularly appear in the respected Croatian weekly Globus and his books have been translated into English, German, Italian, Hungarian, Macedonian, Slovenian, Czech, and Bulgarian.